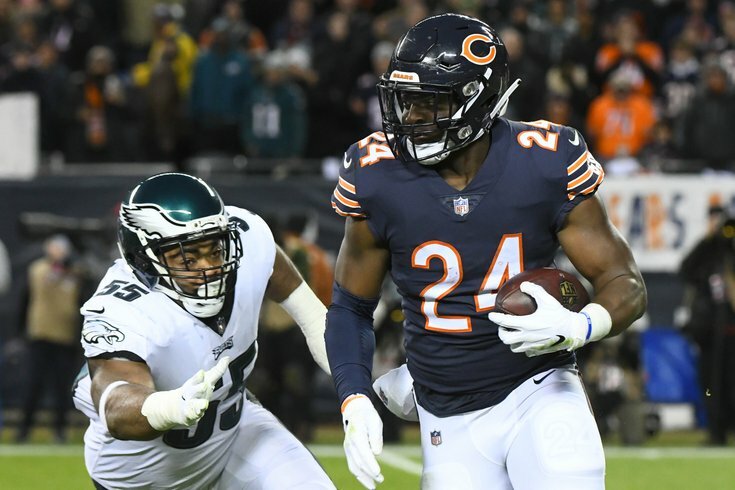 Former Bears RB Jordan Howard is now an Eagle. Howard is a three-year vet who has put up good numbers with the Bears, though his production has declined each year since his rookie season. Howard was a fifth-round pick of the Bears in 2016, when Joe Douglas was the Director of College Scouting. Earlier this week, we wondered when the Eagles were going to add a good running back. To be determined how good Howard will be with the Eagles, but he is cut from the same cloth as guys like Jay Ajayi and LeGarrette Blount, who both had success in Philly behind an elite offensive line. Howard will likely be a first- and second-down player, as well as the the Eagles' primary short yardage back. He will be an upgrade on what was one of the worst running back groups in the NFL last season.